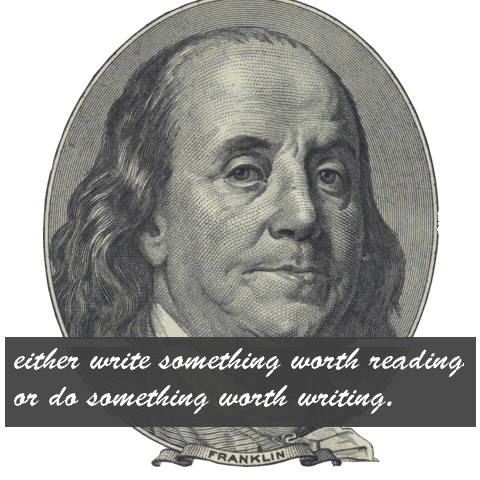 Over the past several months, I have focused on various aspects of Benjamin Franklin’s life and work. Most of these observations were based on serious accomplishments in Franklin’s life. There is, however, a very significant item on Dr. Franklin’s resume which cannot be overlooked. Ben Franklin wrote some of the most memorable satire of the eighteenth century. Like Jonathan Swift, the Anglo-Irish clergyman and satirist of the seventeenth century, who greatly influenced Franklin, and Mark Twain, who carried on that rich tradition in a later century, Franklin loved to skewer the comfortable by making sport of their foibles. Franklin began his public writing at the age of sixteen, with his Silence Dogood letters, in which he claimed to be a widow in her forties. In those letters he frequently took jabs at Boston’s male establishment. He would go on to write under many more pseudonyms, including Richard Saunders, ( in Poor Richard’s Almanac), Caelia Shortface, Martha Careful, Busy Body, Anthony Afterwit ( humorous male marital advice in Franklin’s Gazette ), Alice Addertongue ( Gazette gossip columnist ) and Benevolous, who answered London newspaper criticisms of the American colonists. I hope you enjoy these writings, and that you will seek out others.